IFA 2018 has finished up after a huge week in Berlin, an event truly bustling with technology from all players – from the big guns of Samsung, Huawei, Sony, HTC and more, through to the little guys trying to make an impact. From August 31 through until Sept. 5 we saw doors open at the Messe Berlin exhibition grounds in what truly is Europe’s largest consumer electronics trade show – it’s a marathon to see everything! So what new devices, products, and updates did we see? We’ve got everything rounded up, including our Best of IFA 2018 awards. As expected, Samsung put on a huge show at IFA but with the Samsung Galaxy Note 9 launching on August 9th, Samsung was always going to focus on it’s broader consumer devices and goods. The more than hour-long presentation from Samsung told us more about their ambitions in smart homes and AI, and made mention of the liquid-cooled Note 9, of course, along with the Samsung Galaxy Tab S4 (our review is positive, but it’s a tad pricey) while the Samsung Galaxy Watch which we’d seen already was mentioned as well. We did find out that the Note 9 in ocean blue (with the yellow S-pen) was 40 percent of all sales in Europe, while the beefy 512GB of storage model accounted for 20 percent of sales in Europe. One device not at the show was the Galaxy Home smart speaker, powered by Bixby. We expected more from Samsung here and we’ll do our best to track why it wasn’t on show in Samsung’s giant booth. Along with all that came promises from Samsung about the capabilities of their AI by 2020, including establishing AI research centres in at least five major cities. We also saw Samsung’s first 8K TV come to the consumer market, found out its MicroLED technology is now orderable for custom setups (eg. expensive setups) and a bunch more smaller announcements. Like a new dual-door oven! It wasn’t a big Android-focused show for Samsung, but spending $14 billion on R&D can’t all go into the next Note! Huawei revealed a few interesting things at IFA. The first one is the Huawei Mate 20 Lite, a mid-range smartphone featuring the Kirin 710 chipset, 4GB of RAM, and 64GB of expandable storage. It also comes with a 6.3-inch Full HD+ display with a notch and a 3,750mAh battery — learn more about it here. The company also announced the Kirin 980, the first processor based on a 7nm process. It looks like a big improvement over its predecessor, sporting a dual NPU setup that can provide even more than a doubling of performance in some use cases, according to Huawei. The chipset has been confirmed to make its debut in the Mate 20 series, which will be revealed on October 16 in London. To learn more about the Kirin 980, check out our dedicated post at the link. At IFA, Huawei also unveiled four new Huawei P20 colors — these include two gradient colors and two leather-backed variants. The non-leather finishes were inspired by the popularity of the twilight gradient color palette and are called morpho aurora and pearl white. They will be available from September 5 for both the P20 and P20 Pro priced at 649 euros (~$755) and 899 euros (~$1,046) respectively – same as the original price. The leather versions, on the other hand, come in black and brown, as shown in the image above — click here to check out more images. They will launch on the same day but are exclusive to the Huawei P20 Pro. They are going to cost more — 1000 euros — but come with 8GB of RAM and 256GB storage, which is a significant boost over the P20 Pro’s standard 6GB RAM and 128GB storage. The last thing Huawei revealed in Germany is the AI Cube smart speaker. It’s being marketed as a “two-in-one speaker”, as it has Alexa on board for voice control and can also double as a 4G LTE router. The speaker has a two-tone design comprised of a matte white body and colored mesh at the base, which doesn’t stand out much. Unfortunately, we don’t know when you’ll be able to get your hands on it or for how much — we’ll keep the Huawei news updated as it happens. Huawei sub-brand Honor gave IFA plenty, unveiling the Honor Play at its livestreamed keynote, as expected, with all the “Crazy Fast” and “Crazy Smart” features spoken about in more detail by CEO George Zhao, including what we called Honor’s “Crazy Pricing” as details hit about cost and availability. Hint: it’s much cheaper than expected. Honor did also offer a surprise with the teased announcement of the Honor Magic 2, an unexpected sequel to the Honor Magic from two years ago. What was Magic about the 2? The Magic 2 will be a FullView display phone, thanks to a pop-up sliding mechanism to reveal the front-facing cameras and other sensors. It was a manual slide on the camera too which is unique, and quite different to how we’ve seen other OEMs try and offer a full-screen display. We also know the Magic 2 will sport Huawei’s brand new Kirin 980 SoC, so it’s an intriguingly powerful device. We’ve made a guess as to when we’ll see it – read on for more. All in all, a big show from Honor. Sony really pulled some strings to manage to release a big update to its flagship line with the OLED-toting Sony Xperia XZ3 following the XZ2, and while we’d had plenty of rumors that the XZ3 was in the works, it’s here and now, and will be released in October. The August 30 press conference showed us the Xperia XZ3 with a new OLED Bravia screen, comes with Android Pie out of the box, keeps the same XZ2 look and feel with some curvy refinements. All in all, there’s plenty to like for Sony fans, and plenty for fans of other phones to say “welcome to the club, Sony!” Check out our hands-on video below and read more on the Xperia XZ3 here. Just to cover off, Sony didn’t bother with an XZ3 Compact, either, despite the early rumors. Sony also had a few other releases – a new set of Sony WH-1000XM3 headphones that appear to take what were already good active noise cancelling headphones and add updates plus USB-C charging. True to our pre-IFA guess, Sony did follow up the LF-S50G smart home speaker with an SRS-XB501G, an outdoor-focused smart speaker that packs satellite speaker and subwoofer units with Google Assistant, and an IP65 rating so that you can listen to music underwater. Or at least take it to the beach, lake, or pool, and not have to worry about a thing. Finally, Sony had another little portable boombox speaker in the SRS-XB01, a much more compact speaker for use on the go. LG had a much more muted IFA. Given the LG V30’s debut at IFA 2017 was the company’s first smartphone launch at IFA, and the LG V20 was unveiled in San Francisco at the same time as IFA 2016, the LG V40 was a red-hot chance to launch at IFA 2018, too. The BlackBerry Key2 LE was unveiled at IFA by manufacturer TCL, who told Android Authority that the company had always focused on following the Key2 with a leaner and cheaper model. The Key2 LE hit those marks and more, offering what TCL called a ‘tiered-down’ Key2 with “different design language”. Check out our hands-on (shot in Berlin during the setting sun, so it’s a great little video) below. Gone is the premium metal, replaced with a lighter polycarbonate and more plush finish on the back. The Key2 LE comes in 399 euros for the 32GB version and 449 euros for the 64GB version, with further savings made by dropping to a Snapdragon 636 SoC, cutting back on RAM and internal storage, and a slightly different keyboard. The Key2 LE keeps the headphone jack, fingerprint sensor, and dual cameras, but just wound back the camera setup as well. The battery was also trimmed to 3,000mAh, down 500mAh from the Key2, which will warrant further review – although it’s a more efficient processor, we want to know how the device lasts after a full day load of normal work. All in all, it’s a far more accessible Key2 LE for those interesting in the BlackBerry world of security, and that keyboard, of course. At IFA 2018, Lenovo announced the Windows-powered Yoga C630 — the first laptop powered by the new Snapdragon 850 chipset. It sports a 13.3-inch Full HD IPS touchscreen and comes with either 4 or 6GB of RAM and 128 or 256GB of UFS 2.1 storage. When it comes to battery life, Lenovo claims you can expect to get 25+ hours of local video playback, ostensibly with the brightness down and connectivity disabled. The Yoga C630 also features a fingerprint scanner, two USB Type-C ports, a headphone jack, and a SIM card tray. Unfortunately, it doesn’t have a full-sized USB port. The device is scheduled to go on sale in EMEA markets from September 2018, starting at 1,000 euros (~$1,170). It will make its way to the U.S. as well, but there’s no word on when or how much it will cost. Additionally, Lenovo took the wraps off the Yoga Chromebook (above) in Berlin. It sports a 15-inch IPS touchscreen display, with resolution options of 1,920 x 1,080 or 3,840 x 2,160. Inside you’ll find an 8th-gen Intel Core i5 processor along with 8GB RAM and 64GB storage — which can be expanded via a microSD card. Other key features include dual USB-C ports, a full-size USB 3.0 port, a 3.5mm headphone jack, and a battery that should be good for up to 10 hours of use. Pricing will start at $600. Lenovo also revealed two cheaper Chromebooks in Berlin called the C330 and S330. The former is a 2-in-1 device with a 360-degree hinge and an 11.6-inch HD IPS display, while the latter is a bit less interesting with a regular 14-inch display without a 360-degree hinge — learn more about the two devices here. The company took the wraps off two Android One device at IFA 2018: the Motorola One and One Power. The smartphones look more or less identical but offer different specs. The One Power offers more, featuring the Snapdragon 636 processor and a 6.2-inch Full HD+ display with an aspect ratio of 19:9. The Motorola One, on the other hand, comes with the Snapdragon 625 chipset and a slightly smaller 5.99-inch HD+ display (19:9 aspect ratio). The announcement post also reveals that the Motorola One has 4GB of RAM and a 13MP dual-camera setup, while the Power model sports 64GB of expandable storage. Other specs and features are unknown at the moment. 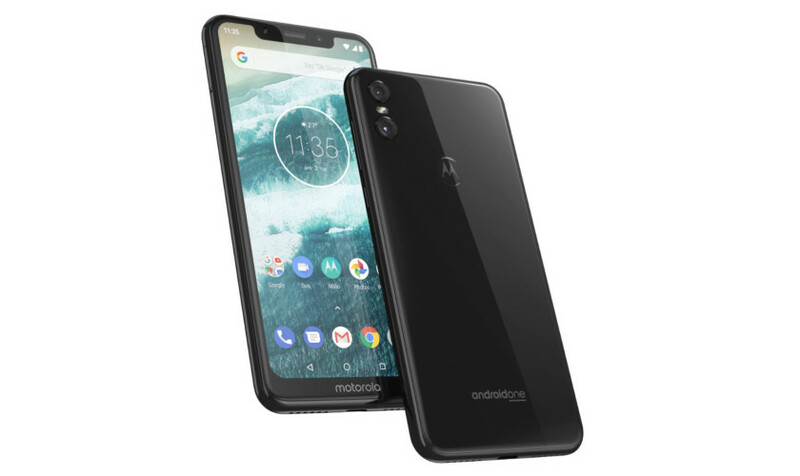 The Motorola One has a recommended price tag of 299 euros and will be available in Europe, Latin America, and Asia Pacific in the “coming months.” The phone will also make its way to the U.K., where you’ll be able to get it from John Lewis, Amazon, and Argos for 269 pounds. The Motorola One Power is set to launch in India from October, but pricing and additional markets haven’t been revealed by Motorola just yet. Nokia remains on the upswing thanks to its crafty manufacturer HMD Global. Ahead of IFA, Nokia sent out invites for an Aug. 21 event which was the new Nokia 6.1 Plus, a sort of next iteration of the 6 line, and part of Nokia’s attempt to win the mid-range market. It’s a nice device but adds a notch, seemingly just to fit in, which disappointed many. There were also details on a Nokia 5.1 Plus, but that won’t be out until September. Plenty expected the Nokia 9 flagship at this IFA, but it didn’t get an announcement. To be honest, Nokia had a blink and you miss it booth, clearly not targeting Europe too hard. The Nokia 9 rumors were talked about – the device should feature a range of top-of-the-line specs, including the Qualcomm Snapdragon 845, with as much as 6GB RAM and 128GB of internal storage. Rumors have pointed at a 5.7-inch OLED display, and for a long time, indicated an in-display fingerprint scanner. Perhaps the most interesting feature is the rumored five-lens design on the back, which would be something to behold. In any case, we’ll see more of the Nokia 6.1 Plus, along with pricing and availability details. Acer has announced a new Chromebook at the show that comes with loads of premium-grade features as well as a reasonable price tag. Called the Chromebook 514, it sports a sturdy, sleek-looking aluminum chassis, a Gorilla Glass touchpad, and an HDR webcam. It also offers a 14-inch IPS touchscreen display with Full HD resolution that’s surrounded by a minimal 6mm bezel, two USB 3.1 Type-C ports, and a pair of USB-A ports. Unfortunately, Acer hasn’t shared the actual specs powering the device, but it did say they will vary by region. We do know the price, though: the Chromebook 514 will be available for $350 in the U.S. and 350 euros in Europe. In addition to the Chromebook, Acer also announced a few other products at IFA. These include the $1,100 Swift 5 and the $800 Swift 3 laptops, a virtual reality headset called the OJO 500, and a gaming chair you simply have to check out. At IFA 2018, Sharp announced that it’s returning to the European smartphone market and revealed three Android handsets: the B10, Aquos C10, and Aquos D10. That’s great news, as more competition is always better for consumers. Sharp’s new devices won’t attract lots of attention from power users. The Aquos D10 is the best and most expensive model of the three, and comes with mid-range specs including a 5.99-inch Full HD+ display, the Snapdragon 630 chipset, and 4GB of RAM. It also sports a dual-camera setup (12MP+13MP telephoto) and will set you back 400 euros (~$465). The Aquos C10 is 100 euros cheaper and also comes with the Snapdragon 630 and 4GB of RAM under the hood, just like the Aquos D10. But it does have a smaller 5.5-inch display, a different camera setup (12MP+8MP), and a smaller battery. The B10 also comes in at 300 euros but has a weaker spec sheet compared to the Aquos C10, offering a MediaTek MT6750T chipset and 3GB of RAM. Other features include a 5.7-inch display with a resolution of 1,440 x 720 pixels, a dual camera setup with 13 and 8MP sensors, and a 4,000mAH battery. The C10 and B10 have been available in Europe since July, while the D10 is scheduled to arrive in September, the Japanese firm confirmed. Additionally, Sharp is bundling a 24-inch HD-ready TV with every purchase of the B10. Anker announced the Soundcore Flare S+, a Bluetooth speaker with Alexa on board. Like its predecessor, the Anker Soundcore Flare S+ is shrouded in a cloth wrap and features opposite-facing drivers for 360-degree sound. It’s IPX7-certified, features Anker’s BassUp technology, and will be available for the holiday season on Amazon for $130. Ultimate Ears revealed two new Bluetooth speakers at IFA 2008: the Boom 3 and MegaBoom 3. They aren’t smart speakers due to the lack of Google Assistant or Alexa on board, but they do feature a new “Magic Button”, which is basically a fancy play/stop/skip button with a few extra bells and whistles. These include the ability to program up to four Deezer playlists (or Apple Music for iPhone users), which will start playing with a tap of the button. Both speakers offer 360-degree sound, are IP67 rated, and have a more modern design than their predecessors. They will hit the market this September priced at $150 (Boom 2) and $200 (MegaBoom 3). Dell showed off the Inspiron Chromebook 14 2-in-1 in Berlin. It sports a 14-inch Full HD display that can rotate 360 degrees for use as a big touchscreen tablet. It’s powered by Intel’s 8th generation Core i3 8130U processor along with 4GB of RAM and features up to 128GB of storage. But one of the most impressive thing about it is its battery, which the company claims will last up to 15 hours on a single charge. The Chromebook will be released on October 22 for $600. Casio took the wraps off the Pro Trek WSD-F30 at IFA, its new Wear OS smartwatch. It maintains the sports focus of its predecessor, featuring MIL-STD-810G certification for durability and a slew of included sports apps. This iteration of the watch is also Casio’s most compact ever, measuring in at 49.1 x 53.8 x 14.9mm. It offers a 1.2-inch, 390 x 390 dual-layer (OLED and Monochrome LCD) display, a urethane wristband, and a battery that should be good for one and a half days of normal use. The Pro Trek WSD-F30 will hit the market in January next year, starting at $550 — which is $50 more than last year’s version. Skagen announced the Falster 2 smartwatch, which pretty much fixes everything we disliked about its predecessor. It features an NFC chip, has a built-in GPS, and sports a heart rate sensor. It’s also swim-proof. The Wear OS device is powered by the Snapdragon Wear 2100 chipset, comes with a rotating dial, and looks very similar to the original Falster. You’ll be able to get it from September 12 for $275/269 pounds. Diesel Full Guard 2.5 is the latest Wear OS smartwatch from the Italian fashion brand. It ’s enormous and packs loads of features including a heart rate sensor, NFC, GPS, and a swim-proof construction with a depth rating of three meters. It sports a 1.39-inch display and will come with a high price tag of $325 once it hits the market in October. Audio-Technica introduced the Sound Reality ATH-CKR7TW at IFA, the company’s first pair of true wireless earbuds. They support the high-quality aptX Bluetooth codec along with SBC and AAC, and also sport an integrated DAC and amplifier (AK4375 from AKM). The controls are built into the earbud, so you can easily skip tracks, adjust volume levels, and take hands-free calls. Battery life is rated at around 15 hours. The earbuds will go on sale for $250 this fall. ZTE premiered “5G Device Solutions” aimed to help bring next-generation networks to smartphones. This cutting-edge technology includes multi-antenna arrays, architecture changes for the latest standards, and even dedicated heat dissipation structures to cope with the extra power consumption. Unfortunately, the company also pushed back the launch date of its first 5G smartphone — from early 2019 to the second half of next year. Sennheiser showed off Momentum True Wireless at IFA, a pair of true wireless earbuds. They operate via Bluetooth 5.0 and feature aptX Low Latency, aptX, and AAC codec support. The earbuds are sweat and splash-resistant, have a standalone battery life of four hours, and let you access Google Assistant via touch controls found on the metallic spin ring. They will go on sale this November for $300. Beyerdynamic introduced six new headphones at its Berlin event. These include four in-ear headphones from the Byrd range — two of which are wireless — and two over-ear headphones called the Tygr 300 R and Lagoon ANC. You can learn more about them here. JBL, the company known for its audio products, revealed the Endurance Peak true wireless earbuds. They offer a standalone playback time of around four hours, are IPX7 rated, and support quick charging. They will hit the shelves this November for £130 (~$170). That’s it from the madness of IFA for another year. Let us know which of the devices mentioned in this post you are most excited about in the comments!